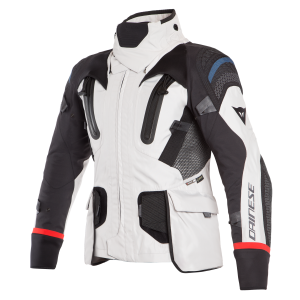 After ten years, the Dainese Group returns to INTERMOT with exciting new Touring products and airbag technology. 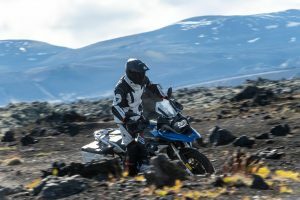 Dainese introduces Explorer, the new product line made especially for on & off road Adventure Touring. 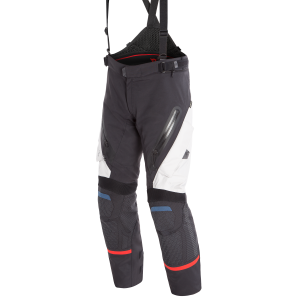 The third generation of D-air® products is also debuting, making available the highest level of protection for every type of use, including for female riders. AGV introduces AX9, the helmet that combines the best of both Touring and off road. 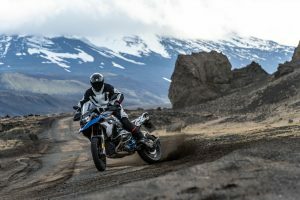 With the release of Explorer, the new Dainese product line, the definition of Touring is updated to incorporate these products, which are the perfect blend of technology, comfort, and safety. 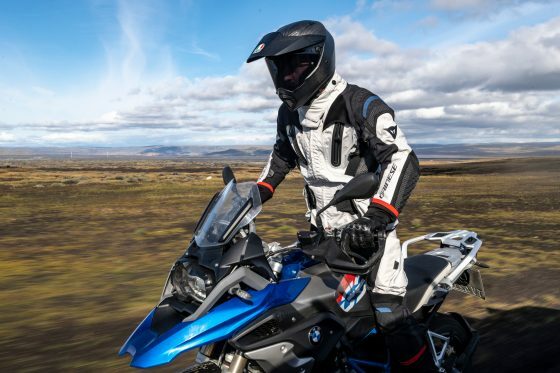 From the glacial cold of the Arctic Circle to scorching hot deserts, by way of Alpine passes and infinite lengths of road, the Dainese Explorer products are designed to protect pilots and passengers in the most extreme weather conditions. Dainese is making use of the experience it gained with MIT in developing the gear for the astronauts who will go on Mission to Mars 2030. Special attention has been given to analyzing, studying, and mapping the lines of non-extension: The areas of the body along which body movement causes neither stretching or contraction. This knowledge has led to a guarantee of unprecedented lightness and comfort in a product with advanced ergonomics and an exceptional fit. 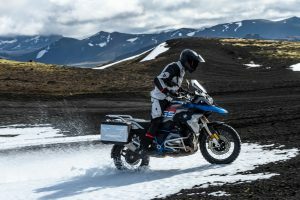 Designed for on & off road Adventure riding on the planet’s coldest land, the Antarctica outfit is the adventurous soul of Explorer. Antarctica offers exceptional isolation from external temperatures and atmospheric agents. 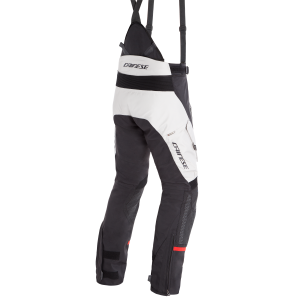 It also embodies Dainese’s technological excellence, providing highly innovative solutions like the Fast-Fit lumbar band that can be adjusted externally to customize the fit without having to open the garment, and the new patented Trixior® material that ensures superior abrasion resistance. In Cologne, Dainese will also introduce its new product range with the integrated D-air® airbag, which has been expanded and completely updated to guarantee an unparalleled level of protection and to meet the needs of every type of motorbike rider. Relying on more than 20 years of research and the analysis of over 1,500 deployments, the bag in the D-air® system has been purposely designed to only cover areas of the body that truly require protection. Plus, the protection has been diversified according to track or road use. 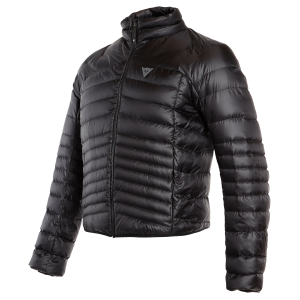 For the first time, Dainese’s D-air® airbag, the company’s feather in its cap, is now integrated into a divisible suit and also comes in a women’s version for female customers. The historic Italian brand AGV is once again proving itself to be the natural extension of the Dainese Group head-to-toe safety system. Pista GP R is the perfect complement to the D-air® product range. It represents the state of the art for technology applied to protection, which is further confirmation of its role as the crowned jewel in the AGV racing product range. The new AX9 helmet is being seen for the first time at Intermot. This helmet together with SPORTMODULAR, the 2017 breakthrough, complete the AGV Touring range and stand out as the ideal complements to the Dainese Explorer line. AX9 combines the comfort of a Touring helmet with the style of an Off Road helmet. AX9 inherited the visor with Max Pinlock from the world of the Grand Tours, then it added a more comfortable lining and borrowed lightness from the Off Road sector, all of which places this helmet firmly in the top of its category. All of the Dainese Group new products being introduced at INTERMOT 2018 will be on display in Pavilion 8, Stand C024-D029. 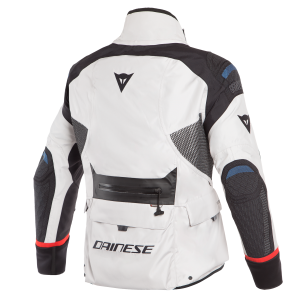 Founded in 1972 by Lino Dainese, the Dainese group develops cutting-edge protective clothing for use when practicing dynamic sports: motorcycling, winter sports, cycling, horse riding and sailing. Continuing with its mission to protect athletes from head to toe, in 2007 Dainese acquired the iconic AGV brand, founded in 1947 and famous across the world for its innovative sports helmets. In 2017, the mother company’s style heritage led to the birth of Dainese Settantadue, the new brand that gives garments from the past a modern twist. Dainese and AGV products represent the technological frontier in terms of protection in dynamic sports, and are used by the world’s best athletes, from Valentino Rossi to Sofia Goggia, Olympic skiing champion and winner of the World Cup Downhill title.